Tremaine Aldon Neverson (born November 28, 1984 in Petersburg, Virginia), better known by his stage name Trey Songz, is a Grammy award nominated American singer, producer and actor. After releasing many mixtapes under the name Prince of Virginia he signed to Atlantic Records in 2005 and released his debut album I Gotta Make It. 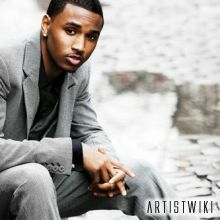 His sophmore album, Trey Day, was released in 2007 and earned him a Grammy nomination. His latest album, Ready, was released in September 2009 and debuted at #3 on the Billboard 100. He also performs under the alias Trigga when he raps. Songz was born Tremaine Aldon Neverson on November 28, 1984, in Petersburg, Virginia. Raised a military brat, he recognized his vocal abilities at the age of 14. Reluctant to sing, he began performing with encouragement by friends and family. Record producer Troy Taylor discovered Songz during a talent show, which led him to a record contract with Atlantic Records. After graduating from high school, Songz moved to New Jersey to begin his music career.